What is that lovely smell? What is that wonderful smell? 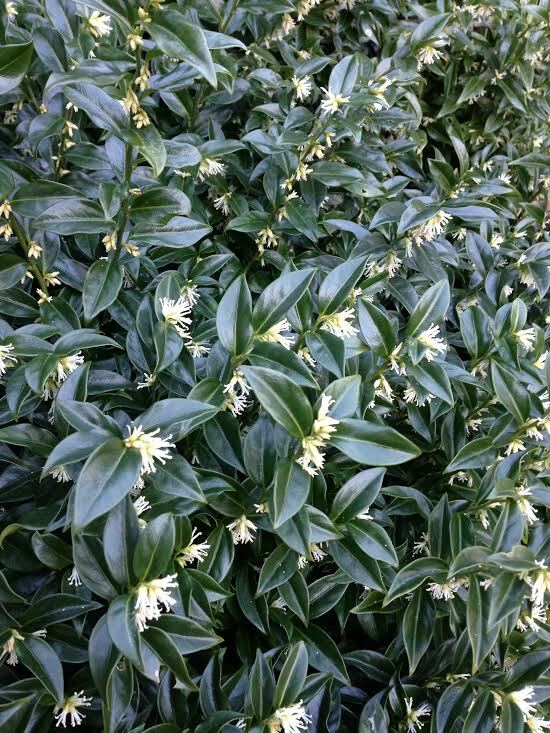 It's from an otherwise unremarkable evergreen shrub, Sarcococca confusa. Also known as Christmas Box, it is having it's 'moment' flowering in my garden now. 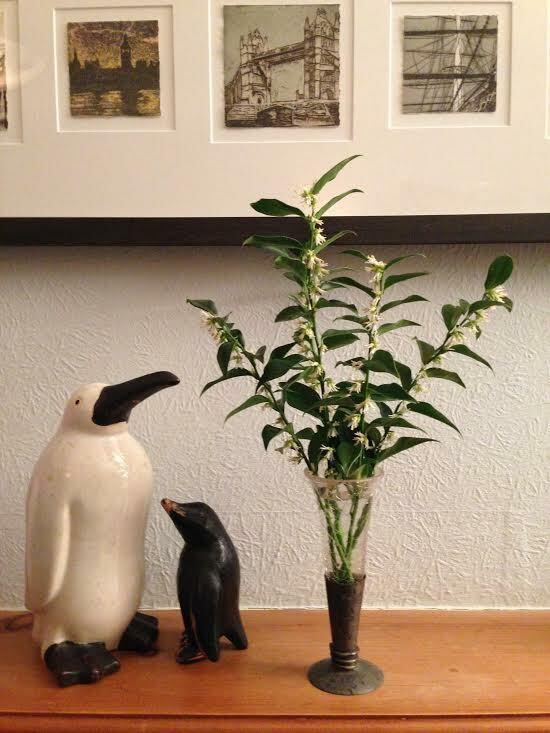 I brought several twigs into the house and the fragrance is fantastic.